For April, we will be inviting one of our sponsors and their partner who are local and active investors to come share about the ins and outs of being a landlord and owning rental properties. Christina Blanchard Lowrance and Eddie stay busy between remodels and managing their rentals or other people's! As a property manager and as active investors, Christina and Eddie will be giving us a great introduction to rental properties. The truth is, we all like the idea of extra income coming in each month! Large amounts of Passive Income is an end goal for many of us. What about you? Interested in learning about this either for yourself or for your clients? Come join us! We will be in the back side room on the parking lot side since there are multiple side rooms in that restaurant. We do encourage you to order something to eat and to bring something to take notes if that is helpful for you. Interested in learning more about investing in real estate? We invite you for this “lunch and learn” type of setting. 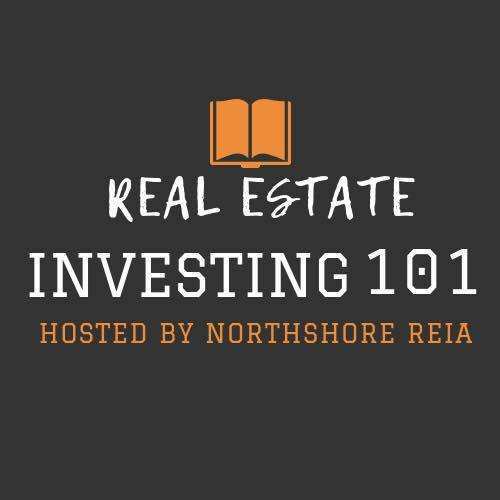 This will be an informal but educational based meet up that will reoccur once a month to cover an array of general topics that you would face in the real estate investing world. Come stop in on your lunch break and order some yummy food while you get a chance to learn and meet others. Actually, all of our events each month (we have more than just this one) are FREE to attend thanks to our amazing local sponsors. You can find out more about our local sponsors here: www.lanorthshorereia.com/our-sponsors. They are great resources for those looking to take action either by finding properties, getting a loan, insurance, a good contractor, etc. We've tagged those with Facebook pages below as well!